Seems like Yahoo! is on a shopping marathon. As you know, Tumblr is already under the belt of Yahoo!, followed by Bignogging Productions (a mobile app developer) and as of July 2, Qwiki has joined the American internet corporation. According to Yahoo! 's CEO, Marissa Mayer, the company is trying to consolidate its offerings, forming a strong base of mobile-focused applications – that and adding some fresh talent to the team. Fresh talent is what she gets. 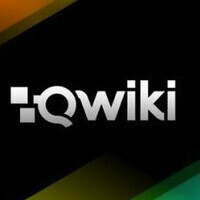 Qwiki, created by Doug Imbruce and Louis Monier, is an app that turns pictures and videos from your iPhone to movies. If the Louis Monier doesn't ring any bells, then let us present you to the founder of the AltaVista search site. Qwiki is widely supported by people like the co-founder of Facebook Eduardo Saverin, and since day one of the app's release, it has raised more than $10 million from a wide variety of investors. Darn right she's on a shopping spree! Where is she getting all this money from? Did Yahoo! have a hidden stash all this time?